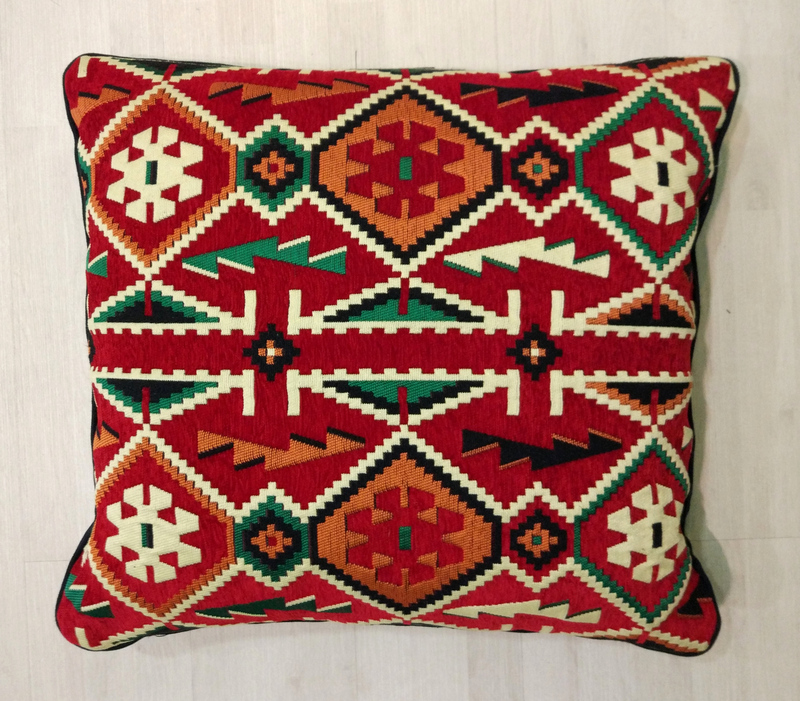 This is a handmade, relaxing and comfortable Ethnic-style decorative pillow. 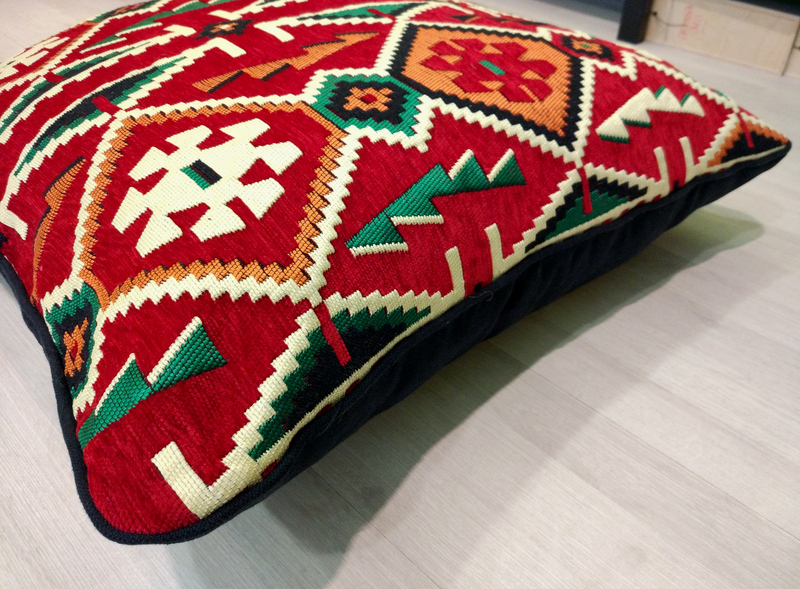 It comes in a warm decoration of red kilim. Best to be filled with hard filling for using it on the floor. 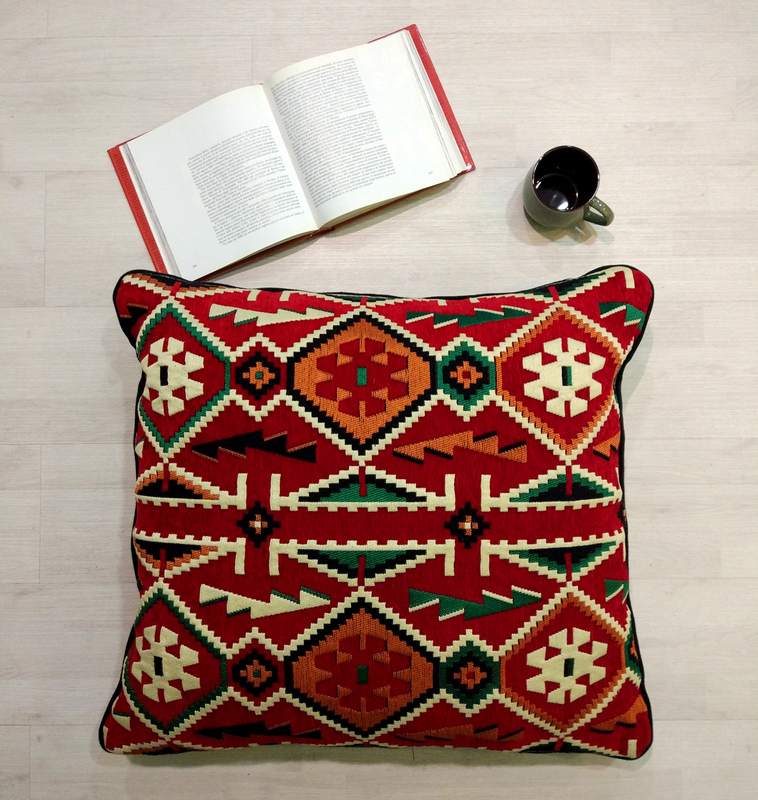 Every pillow is made from beautiful and high quality upholstery fabric personally selected from various suppliers across the globe. The insert is not included. This will save expenses on your shipping. A thick 70cm x 70cm ( 27″-28″ ) pillow insert is recommended.